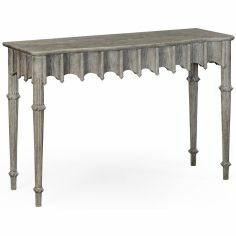 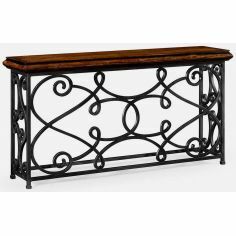 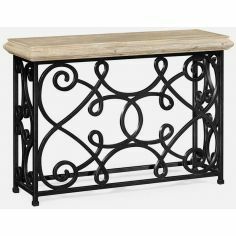 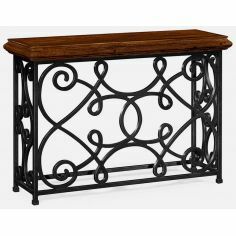 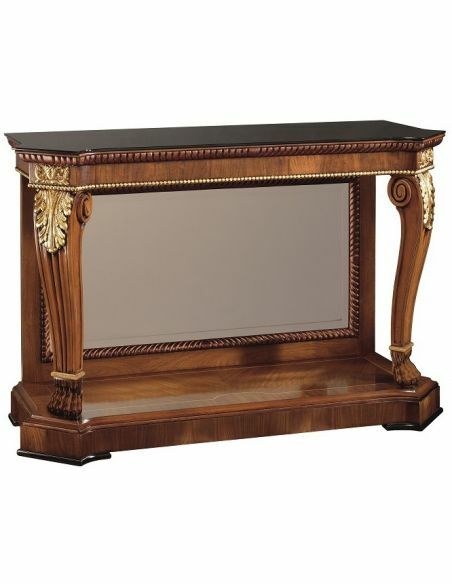 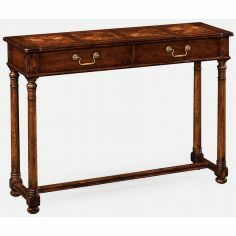 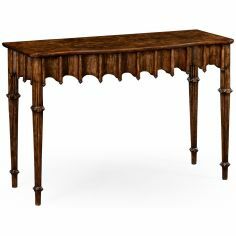 Give a touch of antiquity to your living area with the stylish console table. 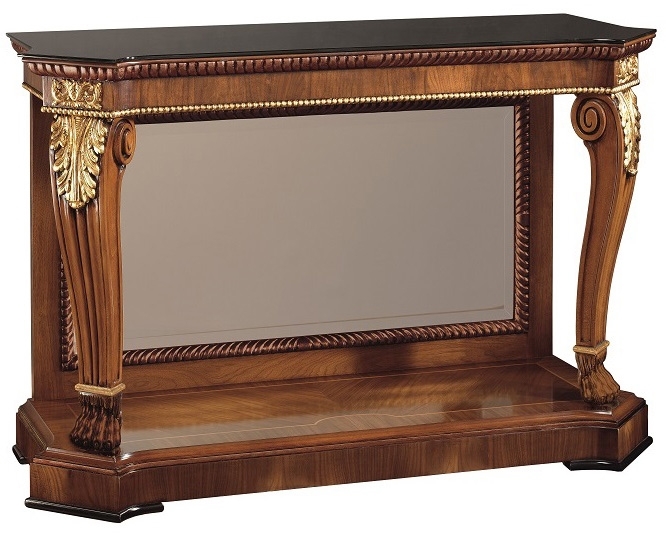 The table features glass top that sits atop a wood base with delicate detailing. 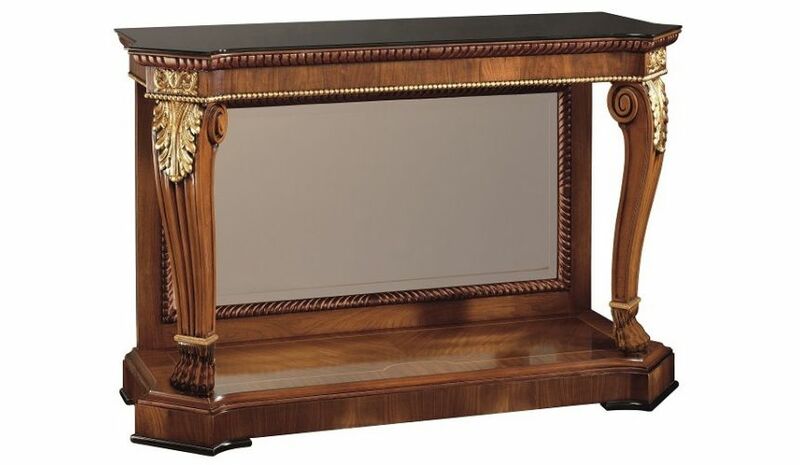 A mirror is placed beneath the wood base, while the storage shelf provides space to organize your media or books. 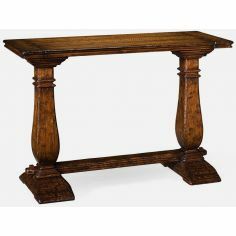 The curved legs lend an artistic touch to the console table.